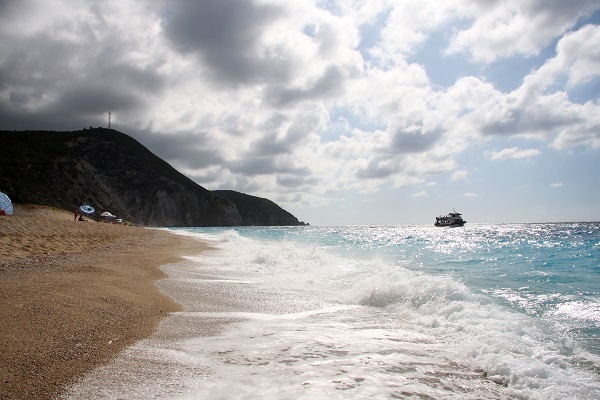 Milos beach is a beautiful on the West coast of Lefkas which is immediately to the south of Agios Nikitas village. Only a few years ago it was quite difficult to get to, which was perfect for those who like to be away from the crowds. But it is said that a road is being planned, This is sad in some ways because Lefkada will lose one of the last beautiful unspoilt beaches. But that is progress?For now, until the road arrives, there are only two ways on to Milos beach; by foot and by boat.To walk to the beach you should walk from the start of the pedestrianised road through Agios Nikitas village, down towards the sea. About one third of the way to the sea you will pass a taverna on the left. Just after the taverna is the start of a path which climbs steeply and quickly above the village. At one point you will be almost abobe the little beach of Agios Nikitas village, where you can take a nice photograph of the village. Continue climbing along the path until you reach the top. You will see here the remains of the old windmill (Milos = windmill). Continue and the path starts to drop. Sometimes that path down to the beacg can be a bit steep and difficult, but they are improvong it. 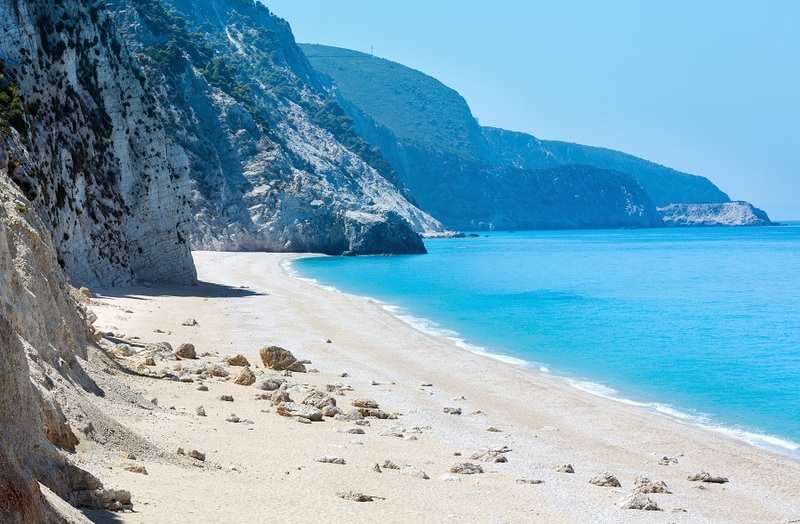 Soon you will be on a beautiful beach and , until the road arrives, unspoilt.An easier way, during July and August, is to take one of the taxi boats from Agios Nikitas town beach. They will take you, and a few other, to Milos beach and then continue to Hathisma beach. Be careful, especially if there are strong winds or waves, as you will need to take the boat back as well. Be clear with the skipper what time you are to be ready for the boat back to Agios Nikitas. And be prepared to get wet!